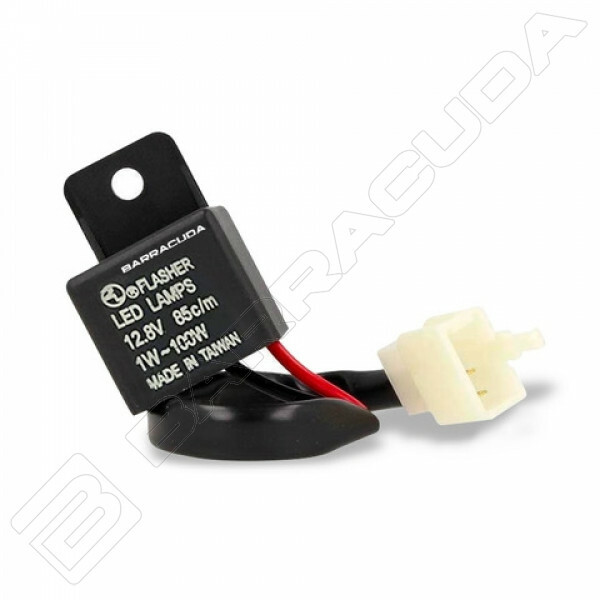 The LED RELAY (intermittent regulator) is an electronic component that regulates the correct lightining of indicators by automatically parameterizing it to the original bike system. The connector has a universal connection compatible with 90% of the market motorbikes. N.B. Verify the compatibility of the connector visually before proceeding with the purchase. The LED RELAY (intermittent regulator) is an electronic component that regulates the correct lightining of indicators by automatically parameterizing it to the original bike system. The connector has a universal connection compatible with 90% of the market motorbikes. N.B. Verify the compatibility of the connector visually before proceeding with the purchase.